Laura and Roy chose Tin Roof Barn and the Columbia River Gorge for their destination wedding because of the natural beauty the area so abundantly provides. 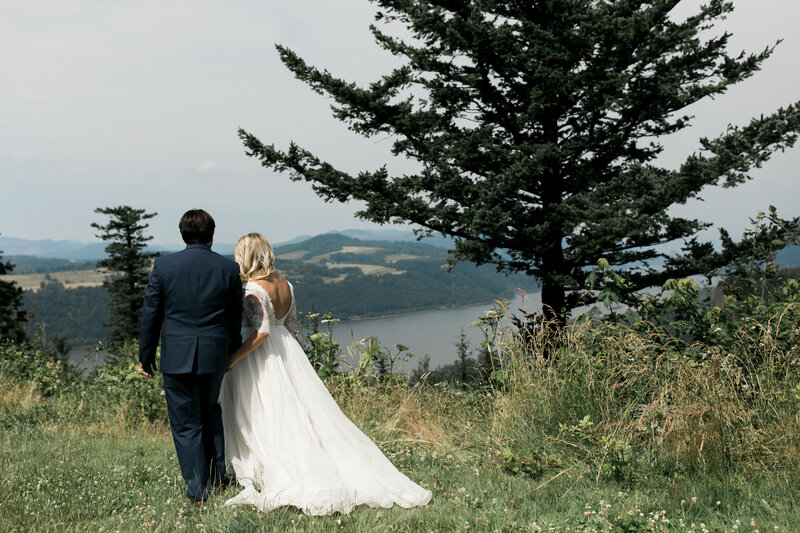 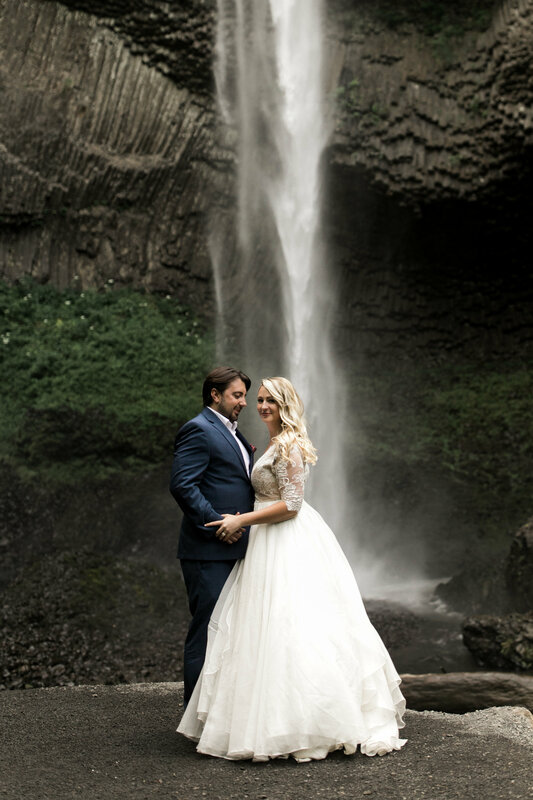 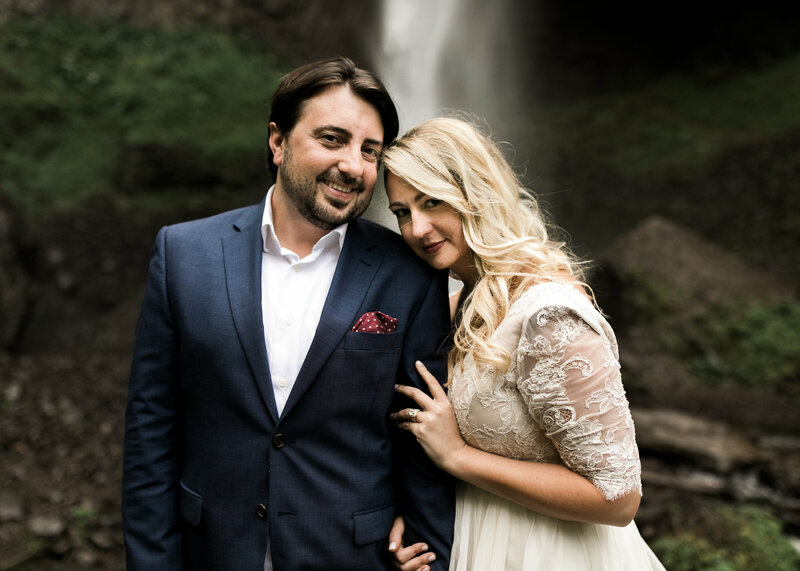 Though they fell in love with Tin Roof Barn and threw an absolutely fabulous party that they’re probably still recovering from, they also wanted to capture parts of the Columbia River Gorge that it’s known for: mainly the sweeping views and of course, the stunning waterfalls. 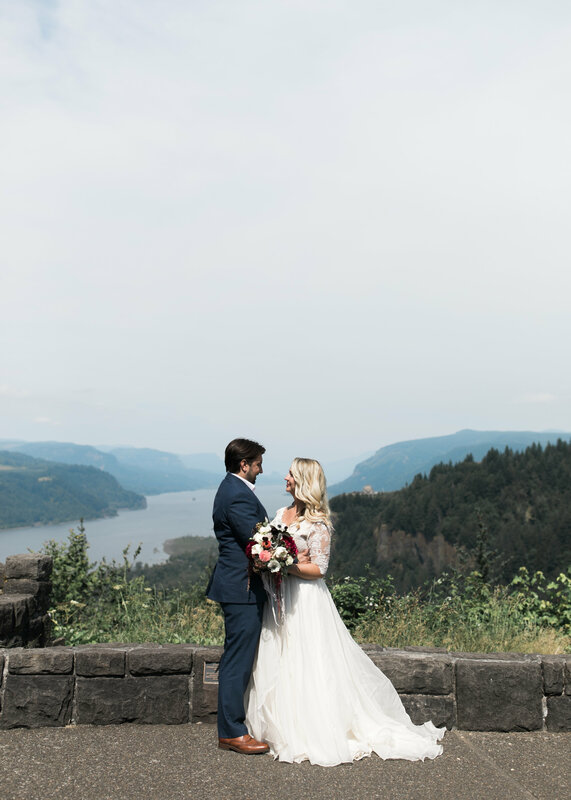 For those who truly want to capture the beauty of the Columbia River Gorge, it’s almost impossible to do all at once. 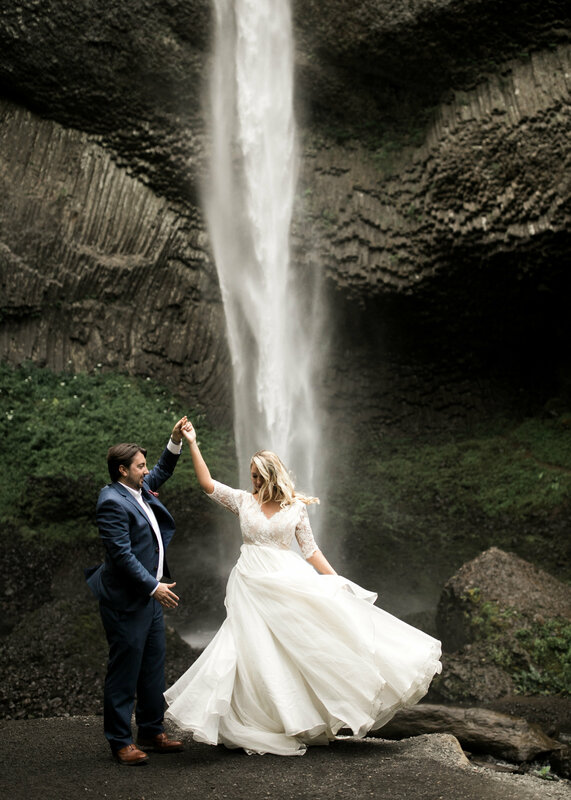 So why not break up your wedding photo shoot into two fun days, instead of just one? 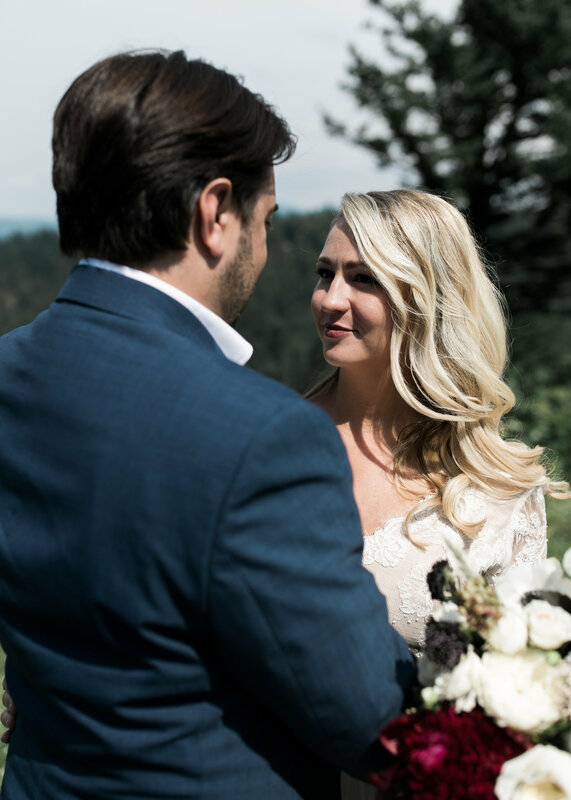 Not only will you be less stressed the day after, you’ll have that “I just married my best friend and am floating on air” glow. 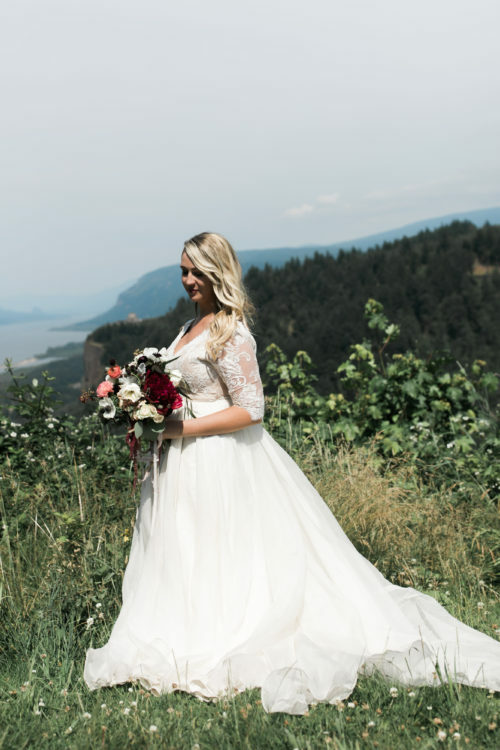 “Day After” photo shoots are increasingly popular, and if you’ve got an adventurous photographer, there are any number of gorgeous Columbia River Gorge locations to choose from. Pack up that wedding dress, put on your hiking boots, and get out there. 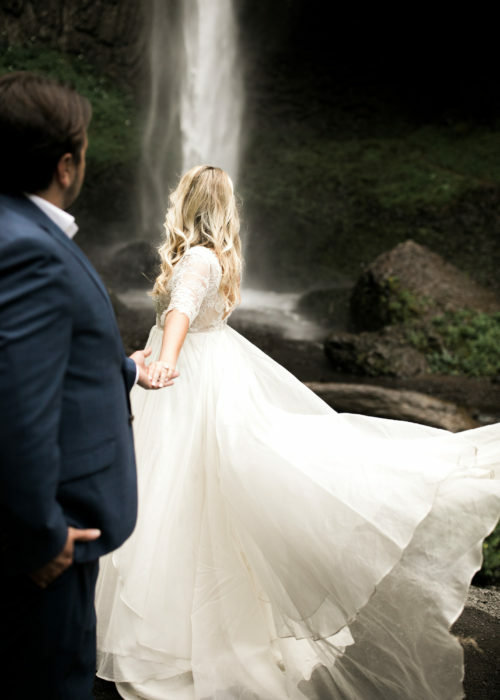 Nature’s studio awaits.